Pierced to accept bolt through furniture. 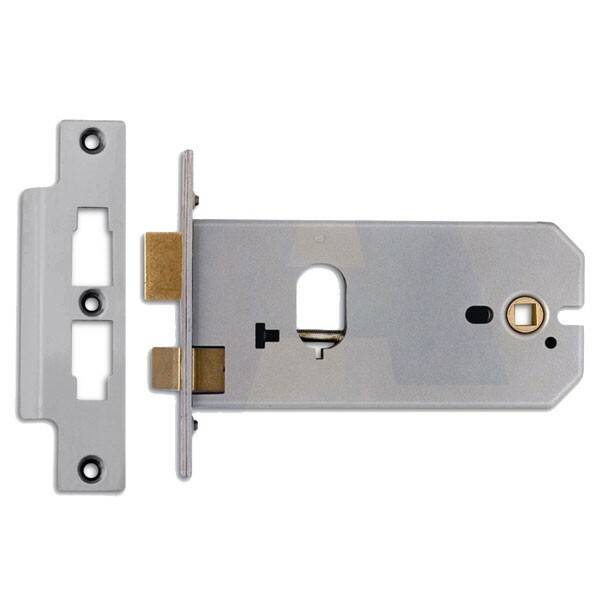 Deadbolt is locked or unlocked by oval profile single cylinder, double cylinder or cylinder & turn. Reversible latchbolt withdrawn by knob from either side. Enamelled Silver case finish and Brass forend finish.